Show me your favourite Regens! Thread: Show me your favourite Regens! it's moussa dembele, i'm expecting a lot more from him. 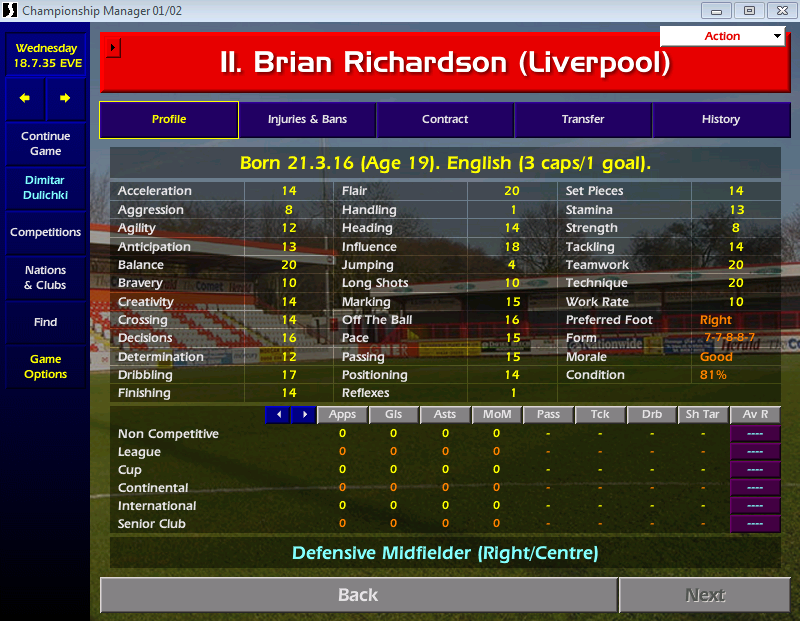 No idea which regen he is. I have not controlled this player during the game. He scored 41 times in 39 matches last season. Well, i have got the best regen i have ever had. 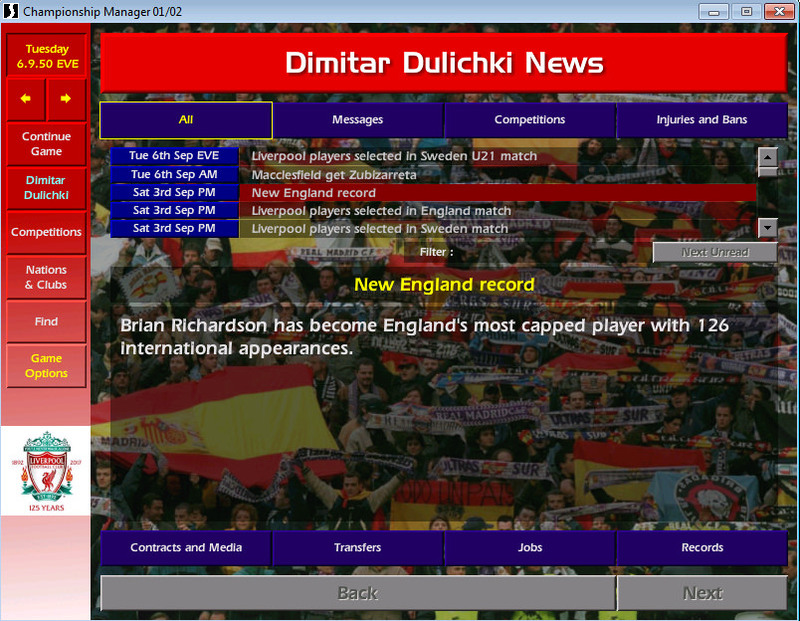 I think it's a Kieron Dyer regen. 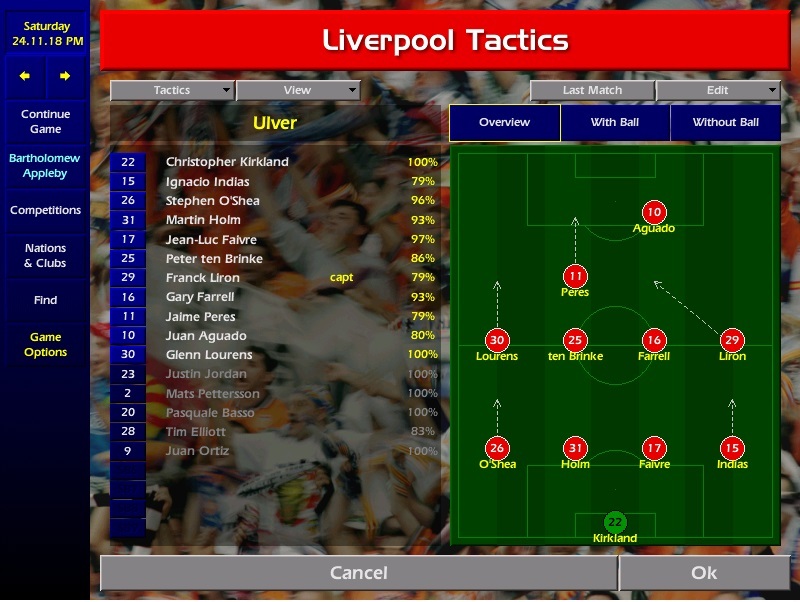 Maded him a starting 11 player immediately after he was promoted, at 17 years old. So far (23 years old) he had played 301 matches, scoring 50 goals and making 54 assists and one double-double (at least 10 goals and 10 assists per season) (the picture provided is a little bit old). I think i can now challenge for the most appearences record, if the player stays loyal and don't have bad injuries in the future. He has been amazing. 34 years old now. 819 matches for me, 144 goals, 160 asists and 56 MoM's. 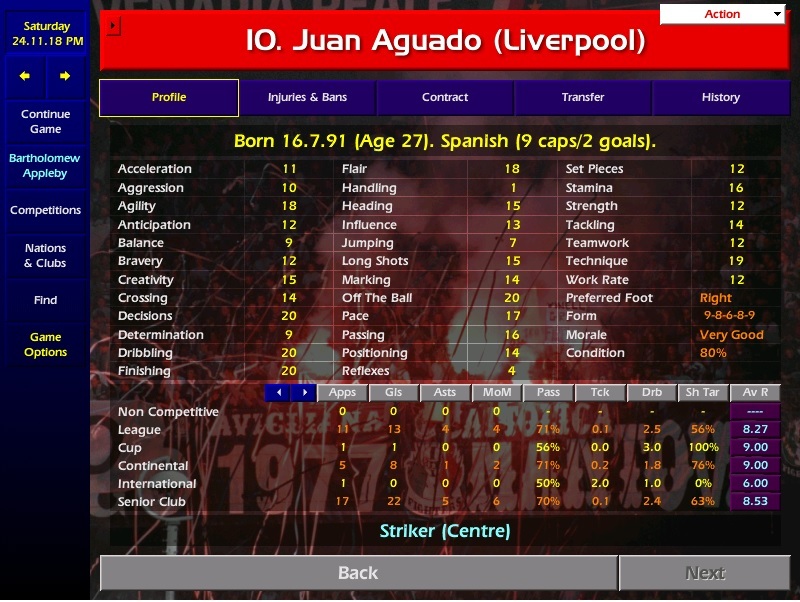 No idea who he's a regen of, it's the original game (3.60). 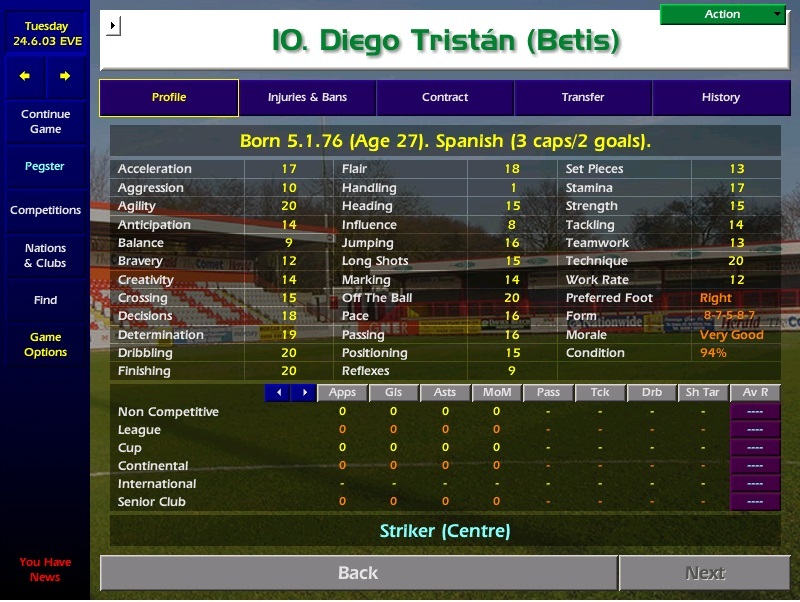 Has to be Diego Tristan? Looks like a good suggestion. Flair and balance stay the same, don't they?